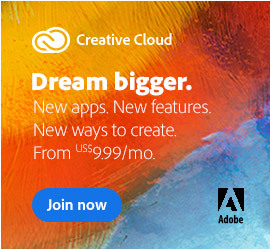 Your Creative Cloud price is changing. The price of Creative Cloud will increase on April 16, 2018. However, your price will not change until your next renewal date on MM/DD/YYYY. Please note that this is the first time in over five years that we’ve raised the base price of Creative Cloud. The All Apps and Single-App Creative Cloud plans only (either annual or month-to-month), for Individuals and for Teams. The prices for the CC Photography plan and the Student/Teacher Editions are NOT changing. Adobe Acrobat DC plans will also see no pricing adjustment. 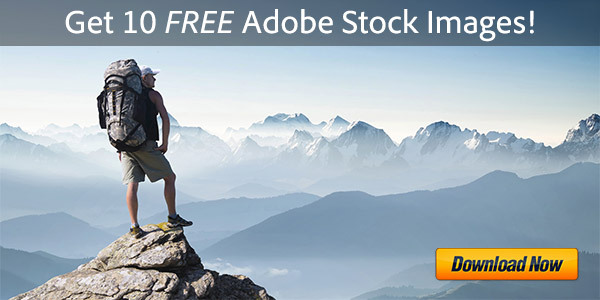 Adobe first announced the price increase last October. The company has invested and brought a lot to Creative Cloud since 2012 – including thousands of new features added to the core CC applications, plus brand new tools such as Adobe XD, Dimension, Character Animator, and an all-new Lightroom CC. 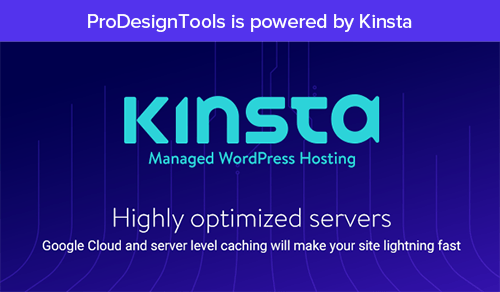 They have also delivered new and expanded services such as Adobe Portfolio, Stock, Typekit, Behance, and Spark with Premium Features, as well as a rapidly-expanding set of phone and tablet apps to seamlessly integrate your workflows from mobile to desktop. Adobe says what’s not changing is their commitment to continue delivering the industry-leading tools and innovation you need to take your creativity further and do your best work. And it turns out that when you work out the math, a 5-6% price increase over six years is not even keeping up with overall rate of inflation since the time Creative Cloud was launched. When does any adjustment go into effect? But my increase is more than 5-6%? It may be that you received an initial (one-off) promotional price reduction that is coming to a close on your next annual renewal date. In this case, the price quoted in the email you received includes any changes that would be made when you reach the end of your limited-time promo­tional pricing period, and shift to standard pricing like everyone else. The other possibility is for Creative Cloud for Teams customers… For Teams plans, the normal price is going up by $10/month in North America. Is there any way I can avoid the price increase, and keep my current CC rate? You have the option to keep your current price for the next year by switching to the prepaid annual plan now. Learn how to switch your plan. The prepaid price and the paid-monthly price are currently the same for annual subscribers. After the price increase goes into effect, the monthly-billed prices will be going up, but the prepaid prices will not increase. If an annual customer wants to keep their current Creative Cloud price, then they can switch to prepaid, and they will not experience any price increase. In other words, you have the option to keep your current price for the next year by switching to (or signing up for) the prepaid annual plan now. 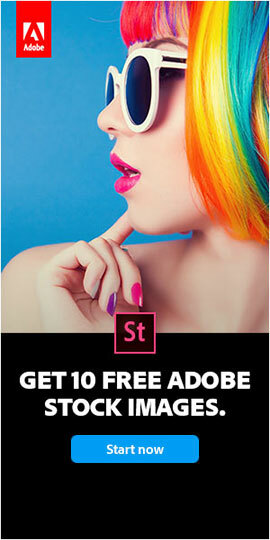 So how do I get the discounted price for Creative Cloud? The simplest answer to avoid the increase and/or pay the lower price is to lock in your rate at the current pricing for the next 12 months by becoming a prepaid Annual subscriber. The same goes if you’re still only a Monthly subscriber. In either case, this change will take effect on your next renewal date. My plan just renewed. Can I still switch to prepaid to get the lower rate? Yes, you may be able to. Whether you currently have an Annual (12-month) or Monthly (month-to-month) plan, you should be able to upgrade or change your plan online here, at any time. Look for the “one-year prepaid plan” option for the product(s) you want. If for some reason you are unable to complete the switch online, then you can contact Adobe Customer Support to make the change – via live online chat is usually fastest/easiest, and is typically available 24/7. 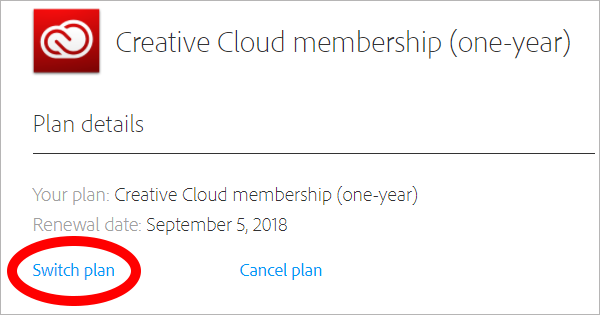 Adobe will cancel your paid-monthly Creative Cloud plan (and waive any fees), issue you a refund for the remaining days in the current month, and then sign you up for a prepaid annual plan to secure the lower CC price. You’ll see two transactions (one refund and one charge) on your credit card, and the updated plan starts right away, with no break in service. Can I move from Creative Cloud for for Teams to Individual plans? Yes, this may be possible, although you would lose significant functionality. You can certainly use Individual CC licenses within a business, company, or other organization – or on the flip side, you can buy a Teams license (even just one) as an individual. There is no limitation on your purchase. Just keep in mind the differences between the two options when making your decision as to which works out better for your needs… Just one example: you cannot transfer or reassign an Individual license. In general, you have a lot of additional features and flexibility with Teams licenses for management, deployment, tracking, reporting, control, billing, support, etc. If you want switch, then just cancel online your current plan before its renewal, and then sign up for the new plan(s) you want instead. No one ever likes to see a price increase, it’s true… Hopefully this article helps explain a bit more about what’s going on and why it happens. Fortunately, these are relatively rare events where Adobe, like most other companies in the world, is adjusting to market forces such as inflation and rising costs and expenses over the years. And in this case, at least, there are options for what you can do to keep the same price. Thanks, this is awesome – you just saved me …… I just switched and will be keeping the same price I have now, with no increase ! Thanks a lot for the info Mr. P ! Thank you John, for pointing out the error – it has been fixed! This does not apply to Adobe CC for Teams. Just got off the phone with Adobe and this is what I was told. They have a VIP plan for teams of 10 or more users and that price is $69.99 but you must pay for the entire year. You also receive 5% discount and the 13th month free so it’s a 13-month plan. And you do not need to join any “VIP plan” or even buy 10 or more licenses to take advantage of the lower prepaid pricing for Creative Cloud for Teams. Sorry if you received incorrect information. I am a pre-paid member already, so does that means I still maintain the same price? So your cost will not go up. Thanks for your question and confirming that, Manny. The 14 Must-Have Adobe CC Keyboard Shortcut Cheat Sheets, Free! 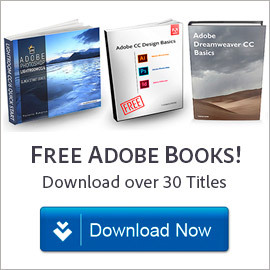 Are Adobe Creative Cloud (CC) Files Backwards Compatible w/ CS6?